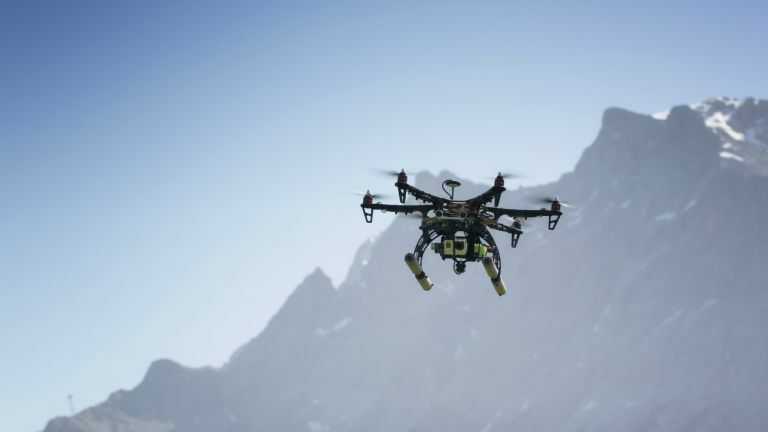 Drones can be used as weapons, Wi-Fi routers and now even hackers. Yep, you read that correctly. Boeing is putting a team together in order to build a drone that is able to deliver spyware to wrongdoers. Boeing subsidiary Insitu, which specialises in unmanned aerial vehicles, is teaming up with Hacking Team - which develops surveillance tech – to build a drone that can remotely hack a device. It will be capable of targeting a suspect's smartphone or computer through a Wi-Fi network. From there, it can access files, calls, chats, emails and more. Even if the target only connects for a brief second, the drone could slip in surveillance code from a safe distance. The news came to light after a hacker attacked Milan-based Hacking Team earlier this month, and released hundreds of gigabytes of company information online. Now it's all been published on WikiLeaks for everyone to see. Among the emails is arecap of a meetingin June of this year, which gives a “roadmap” of projects that Hacking Team's engineers have underway. The hacking drone tops the list: “Develop a way to infect computers via drone. One engineer is assigned the task of developing a 'mini' infection device, which could be 'ruggedized' and 'transportable by drone (!)' the write-up notes. It's worth mentioning that the conversation was still in the early stages, so there's' no need to worry about any drones listening in on your phone calls or reading your Facebook messages, not just yet anyway.